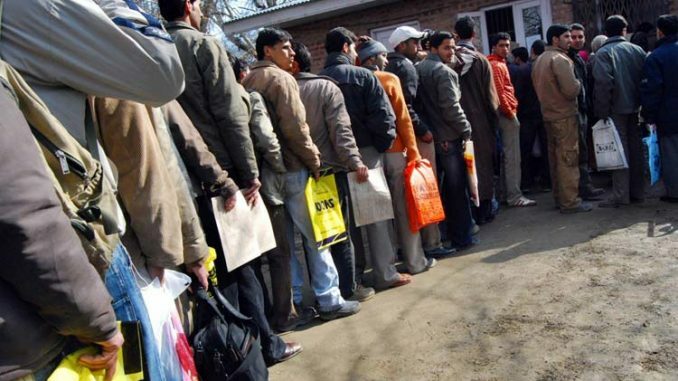 A measure of Unemployment in India is at best a case of the blind men and the elephant. Thanks to the politicisation of unemployment figures ahead of the general elections, we now have numbers being flung at us from all directions. We have household survey data from the Centre for Monitoring Indian Economy (CMIE); we have the Azim Premji University’s State Of Working India 2018 report; we have monthly data on subscriber additions to the Employees’ Provident Fund Organisation (EPFO) and we have more enterprise data coming from the Confederation of Indian Industry (CII). We also have “leaked” data from the National Sample Survey Office (NSSO) for 2017-18. The Centre for Monitoring Indian Economy is an established organization of repute that gathers and publishes statistical data about the Indian economy — macro, sectoral, business and microeconomic data. 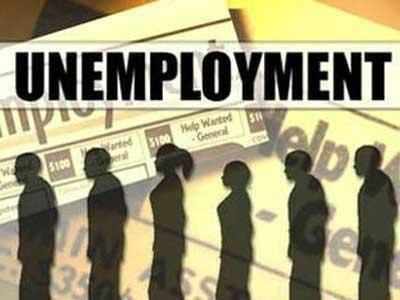 Their latest report (2019) on unemployment in India shows that the rate has increased to 7.2 per cent from 5.9 per cent in February 2018. The total number of employed persons in India was estimated by CMIE to be 406 million in February 2018. The figure has now fallen to 400 million. This is yet another reliable report that confirms the trend that is supposedly contained in the National Sample Survey Office report that has been suppressed by the government of India. Employment figures can be affected in many ways. The growth of new jobs may be extremely sluggish, old jobs may be lost because businesses go bust, machines replace some jobs in technologically advanced industries, and finally, but not the least, frustrated people stop searching for jobs because either appropriate jobs are absent or wages are too low. 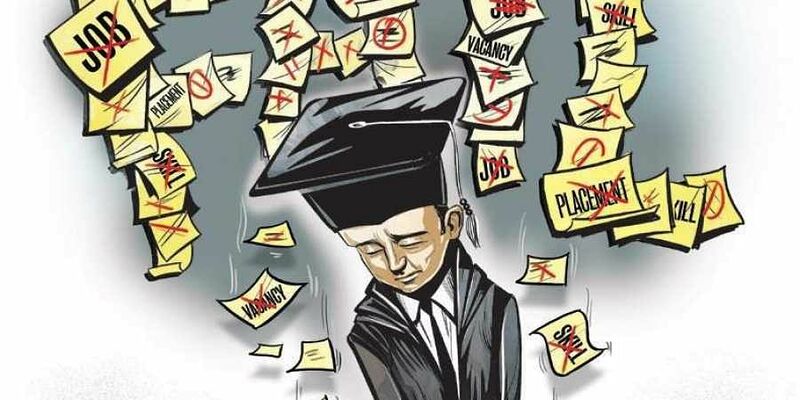 It is obvious that India is facing a job crisis in the labour market. The unemployment rate is rising in spite of the fact that the number of job seekers dropping out of the search process is also increasing. Needless to say, the worst affected are unskilled workers, farm labourers and technologically obsolete employees. The demonetization of 2016 was also a one-off shock in the labour market with prolonged lagged effects. In the long run, perhaps all the jobs data will converge to give us meaningful results, but right now, it is only adding to the confusion as all the studies have serious drawbacks. It’s a case of the blind men and the elephant. The CII employment survey is based on a sample of 105,347 micro, small and medium enterprises (MSMEs). It suggests that employment is growing at a compounded rate of 3.3% annually. The net additions over the last four years amounted to 332,394 jobs. When extrapolated over the Labour Bureau’s entire macro database, this number apparently translates to 13.5-14.9 million jobs created annually. Demonetisation and the GST “severely affected” Rajasthan’s small-scale construction, mining, gems and jewellery industries, made worse by a tide of Chinese imports and equipment that replaces jobs and a mining ban, experts and daily wage workers told us. both CMIE and NSSO suffer from one major drawback: they are compiled over months, and this means they do not capture data at a particular point of time. So, if someone is unemployed in January and finds a job in March, they will still show up in the data as unemployed. The only real way to report accurate data is to get the survey completed in one day—or within a week at best. This means putting more feet on the ground, and only the government can afford to do this. The CMIE and other sources of data are essential to keep government data honest, but their usefulness is limited. The government must think beyond short-term sops, and face a complex problem squarely and urgently.